JR Rubber industries have a wide range of rubber moulds for floor tiles in dufferent thickness . Over 300 designs . New designs introduced every month . Rubber MOulds lifespan 12 - 15 years . Non stick synthetic inner layer . Excellent after sales service which gives us customer loyalty. Client come back to us for more and more orders . We are commited to deliver only the best products which makes us leaders us the industry . 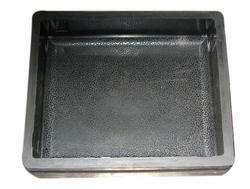 Square paver mould . 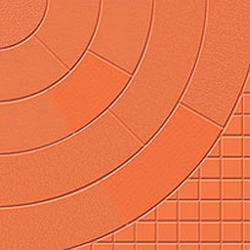 Cast the perfect square paver with JR rubber mould.Many years lifespan for paver mould . 25 years of experience in indutry . To meet the varied requirements of our prestigious clients, we are engaged in offering Mural Paving Block Rubber Mould.Our mural tile mould comes in various designs and colors in order to meet the diverse needs of our clients. Customers can easily take this mural from us within a confine time at best market price. 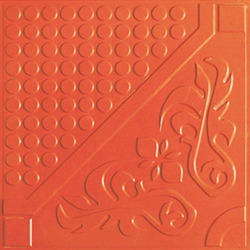 Being a highly effective, lean and fast-moving organization, we are highly instrumental in providing PVC Tiles Molds. The offered tile mould is processed in compliance with the international quality standards using the top grade raw materials and advanced machines. Our tile mould is provided on varied sizes & shapes according to the demand of clients. In addition to this, we inspect offered tile mould on certain parameters to ensure that this stand high in terms of durability.